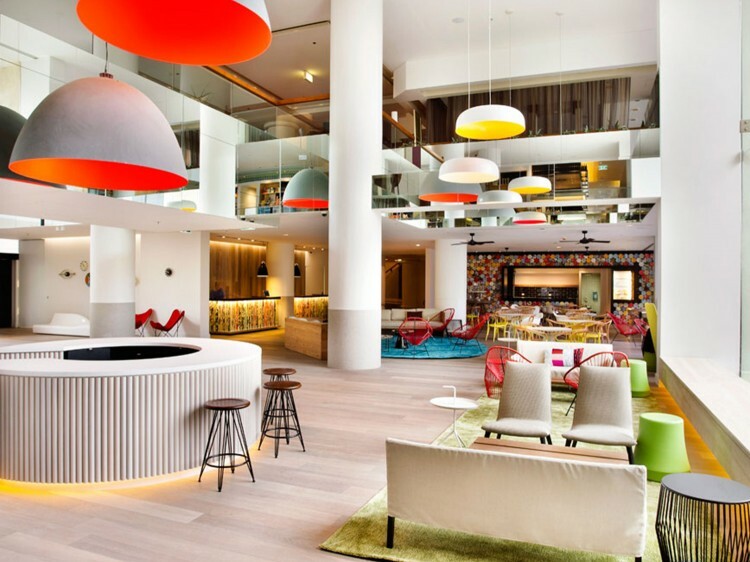 Walk in to this Surfers Paradise accommodation and be welcomed by an inspiring open-spaced setting with beautiful artist-crafted features and bold custom lighting. 297 spacious guest rooms with ocean or mountain and river views offer dazzling views of the coast’s famous scenery plus all the glamour and style you’d expect from Australia’s party playground. With every aspect deliberately intended to inspire conversation and arrest the senses, QT Gold Coast guests will delight in unexpected and untraditional details, such as rich floor to ceiling wood panelling, artist crafted feature walls, and custom lighting for mood as well as function. A stylish sanctuary for those who love to drink and dine, QT Gold Coast is an entertainment destination, from unique marketplace style dining at Bazaar to the relaxed California Baja lounge vibe of Stingray Lounge. Vibrant and eclectic, QT Gold Coast is an easy 35 minute drive to Coolangatta airport and situated within easy walking distance of shopping, restaurants and nightlife and only minutes driving to world-class golf courses, theme parks, nature and wildlife reserves. Just like your mind, your body isn’t static. At spaQ they get that, and so decided to do things a little differently to fit in with your individual groove. As well as packing the menu with some serious therapeutic punch, there is room for flexibility, customisation and individualisation. QTique offers an eclectic mix of luxuries and necessities stocking something for everyone from discerning bookworms to candy connoisseurs. This boutique Gold Coast shop showcases contemporary Australian designers combined with old fashioned favourites. Pop art meets industrial chic in one of the most popular bars on the Gold Coast. Toss down one of the 50 in-house tequilas or sip an exotic cocktail as you admire beautiful views of the ocean. Creating a growing buzz since its opening in late 2010, Bazaar re-creates a traditional marketplace with a twenty-first century twist. 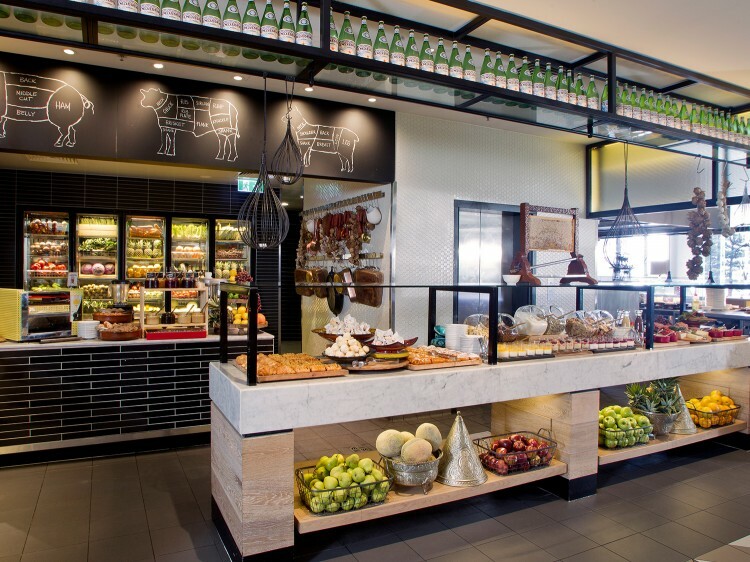 If you can look past the wood fired pizza ovens, classic pot roasts and refreshing organic salads, you’ll see refrigerators almost bursting with colourful, fresh produce. Is it cooking or is it performance art? You decide as you savour the mouthwatering flavours of fresh meats prepared by our expert chefs on Yamagen’s famous Teppanyaki BBQ Grill. Get the best of both worlds at FIXX Cafe. Enjoy a delicious organic menu as well as indulgent treats for something sweet. If you want something on the go, or just somewhere to relax, FIXX is the perfect fit. With a luxurious QT King gel bed offering stunning Hinterland or river views. With two luxurious QT Queen gel beds offering stunning Hinterland or river views. With a luxurious QT King gel bed offering stunning ocean views. 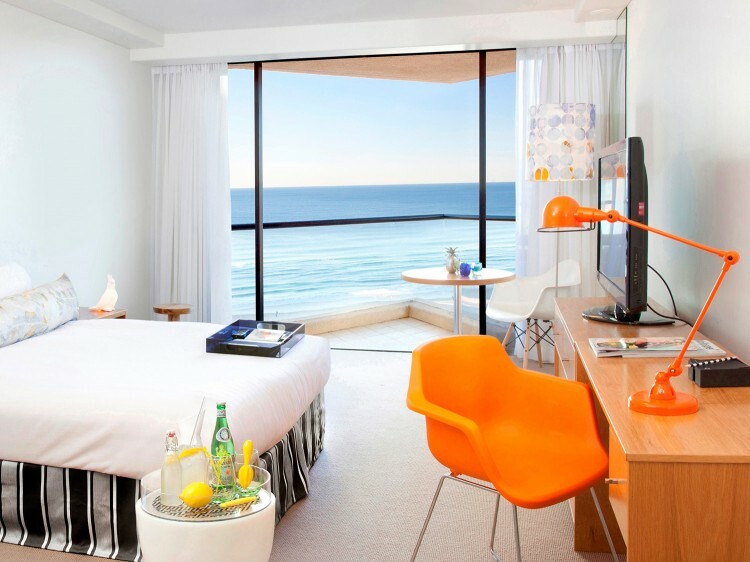 With two luxurious QT Queen gel beds offering stunning ocean views. With a luxurious QT King gel bed offering stunning ocean views and a separate lounge area with fold out sofa. Photo ID and a credit card pre-authorisation may be required on check-in for all bookings. Undercover parking available. Self-parking is $8 per day, valet parking is $15 per day (prices subject to change without notice).